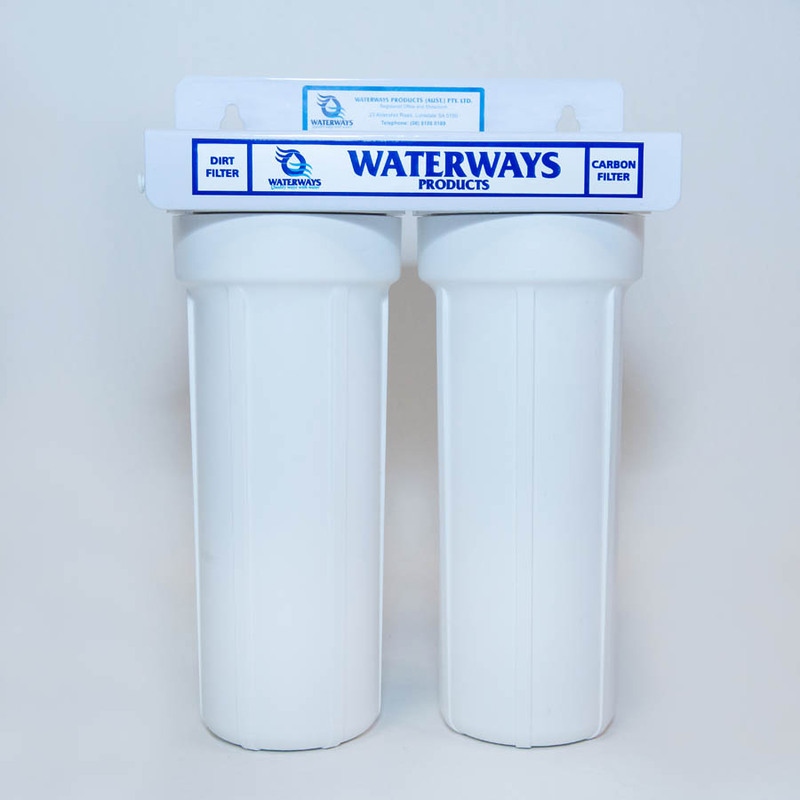 Waterways CC1 filtration systems have been specifically designed to provide you with a constant source of sweet tasting water. Convenient, environmentally friendly and on tap at all times. High quality filtered water is a convenient, environmentally friendly alternative to spring and bottled waters, for a fraction of the cost. Waterways CC1 Quad Action cartridges incorporate 3 stages of sub-micron filtration for combined maximum performance. CC1 is identifiable from would be pretenders by its 1st stage electrostatically charged white outer wrap. The outer wrap is designed to prevent filtered contaminants from entering and eventually clogging the sub-micron filtration structure of the cartridges 2nd stage internal carbon block. The 3rd stage of filtration is via a pharmaceutical membrane which is in place to prevent carbon migration. CC1 effectively removes high percentages of chorine and it’s potentially health damaging chemical disinfection by-products. It also protects against a number of waterborne microbes including Giardia and Cryptosporidium Cysts. The uniform inner structure of Waterways Freeflo CC1 is such that it prevents channelling. There is also a positive “screw in” seal to prevent water from by-passing the filter cartridge. The combined effect of these features is your guarantee that you will always drink high quality, purified water for the entire life of the filter cartridge. 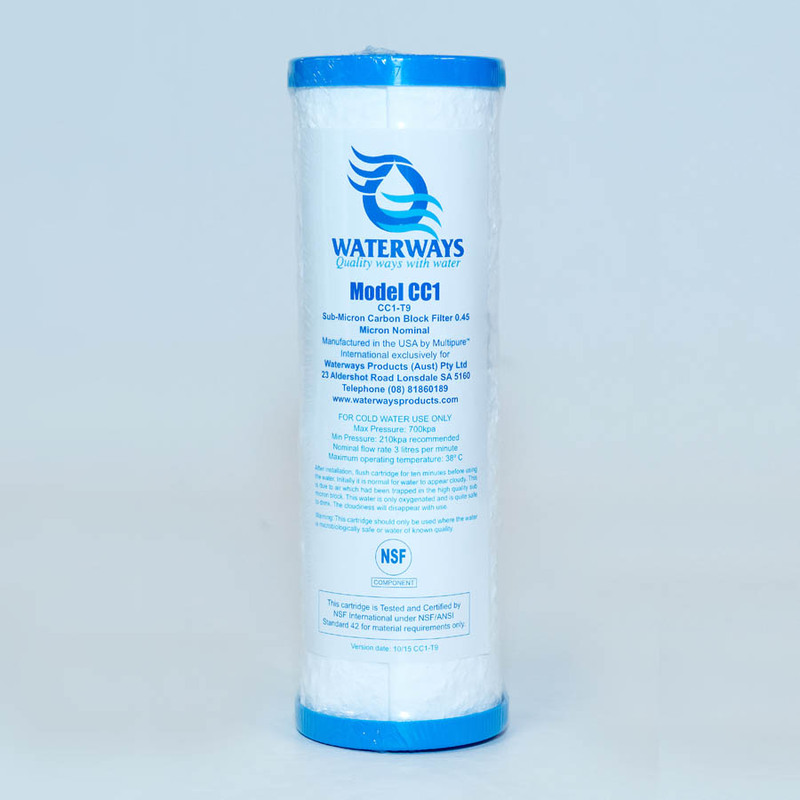 Filter cartridge life will be determined by the quality of water that is being treated. Waterways recommend that cartridges be replaced at least annually.